Combine wet ingredients in crock pot. Stir to combine well. Add in dry ingredients and mix again. 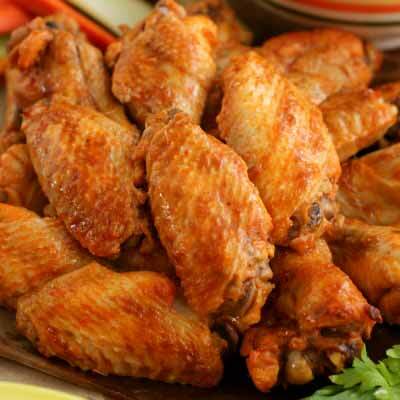 Place chicken wings in pot and roll in sauce to coat all areas well. Put lid on crock pot and cook on high 3 hrs or low 5 hrs. Just check them to see when the meat begins to fall from bones. Then you know it is ready to turn off. NOTE: My wings were frozen solid. I put on high for 1 hour and then on low for another 2 hours. Serve on a bed of rice if desired.